Indonesian Islam is often portrayed as being intrinsically moderate by virtue of the role that mystical Sufism played in shaping its traditions. According to Western observers--from Dutch colonial administrators and orientalist scholars to modern anthropologists such as the late Clifford Geertz--Indonesia's peaceful interpretation of Islam has been perpetually under threat from outside by more violent, intolerant Islamic traditions that were originally imposed by conquering Arab armies. The Makings of Indonesian Islam challenges this widely accepted narrative, offering a more balanced assessment of the intellectual and cultural history of the most populous Muslim nation on Earth. Michael Laffan traces how the popular image of Indonesian Islam was shaped by encounters between colonial Dutch scholars and reformist Islamic thinkers. 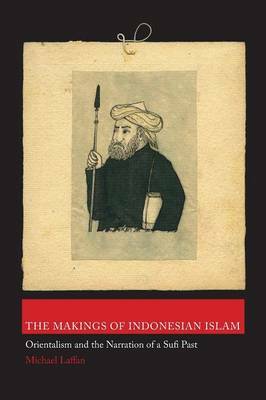 He shows how Dutch religious preoccupations sometimes echoed Muslim concerns about the relationship between faith and the state, and how Dutch-Islamic discourse throughout the long centuries of European colonialism helped give rise to Indonesia's distinctive national and religious culture. The Makings of Indonesian Islam presents Islamic and colonial history as an integrated whole, revealing the ways our understanding of Indonesian Islam, both past and present, came to be.